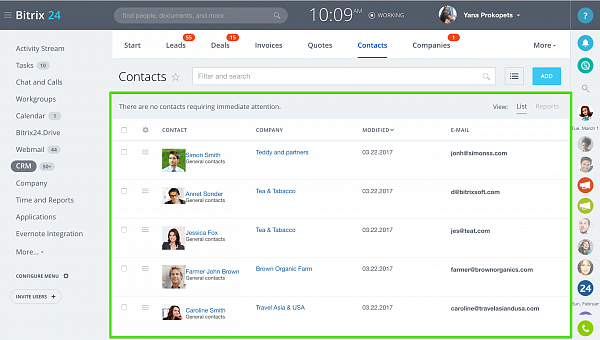 As we are rapidly approaching Bitrix24 fourth anniversary and spring release, new CRM features have been added to all Bitrix24 accounts. 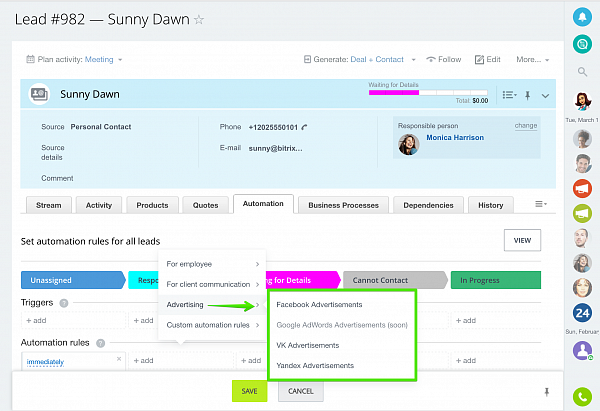 First, marketing automation is now out of beta and you can now run Facebook ads directly from your Bitrix24 account. 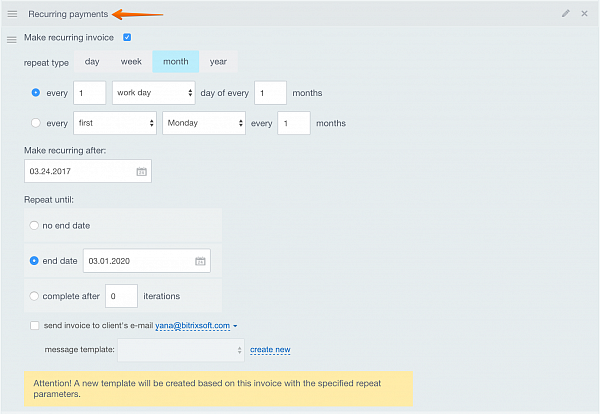 Second, we’ve added recurring invoices for subscription or retainer based businesses. The invoices can now be sent to your clients with any set frequency. 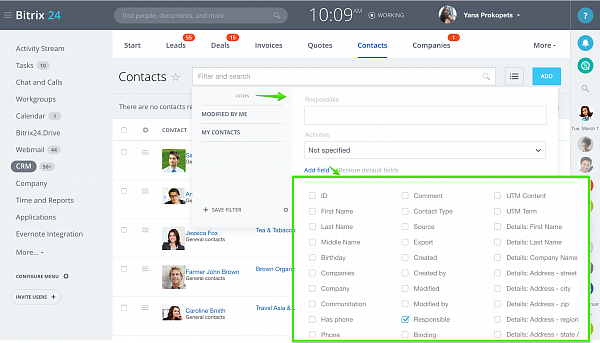 Third, we’ve made it easier to search and organize your CRM records by introducing new customizable grid and search filters. 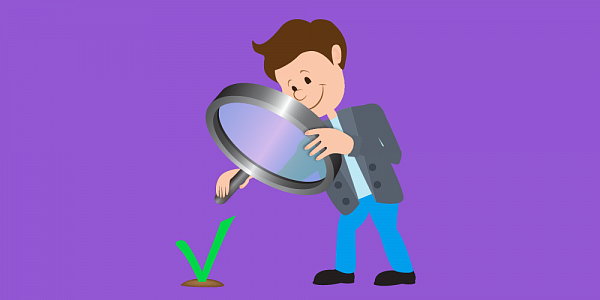 Please note that some new features require commercial Bitrix24 subscription.